Four wheel alignment technology supplier Absolute Alignment has announced that it has tripled its stock levels over the past three months in preparation for Brexit. The firm say that the stockpiling will ensure next-day delivery is unaffected throughout the spring season for all items featured on the Absolute Alignment website. 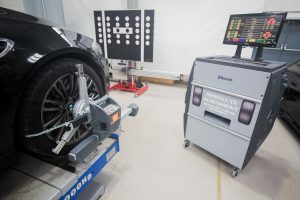 Dear also specifically highlighted the importance of appropriate stock levels of its Bluetooth Pro wheel aligners, which is the firm’s most popular and fastest-selling product in the UK. 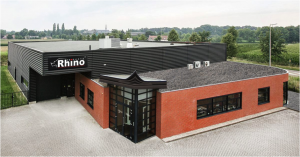 Dutch garage trade group BOVAG (BOnd Van Automobielhandelaren en Garagehouders) – has completed a nationwide tour of British garages to discuss future working relationships ahead of Brexit. The BOVAG team joined up with the Independent Garage Association (IGA) during the trip. The visitors gained insight into the management of British independent garage businesses and discussed issues affecting the industry including MOT testing and access to technical information. The groups also discussed Brexit and the implications for their working relationship. 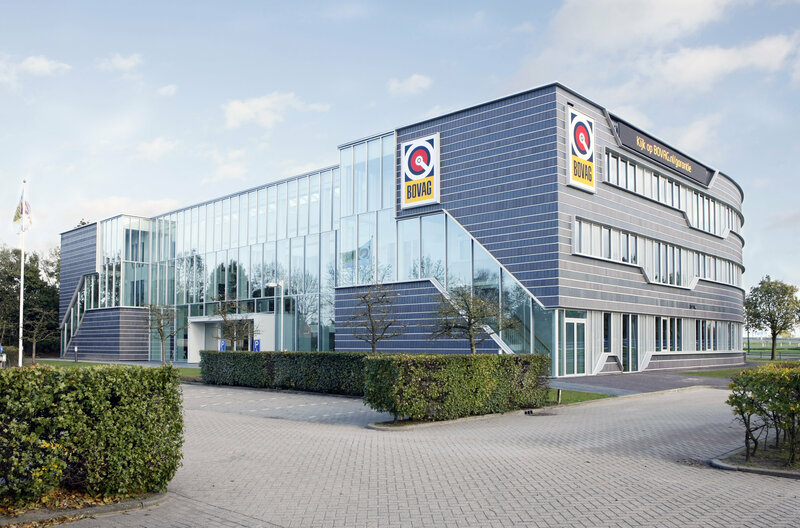 Meanwhile, Gerard ten Buuren, Chair of BOVAG’s Independent Garage Division, said the team “gained a tremendous amount” from the visit and is “delighted” to continue working alongside the IGA. This summer, Birmingham will again become the central hub for the UK’s automotive industry as it unites with Automechanika Birmingham, bringing thousands of visitors to the region. 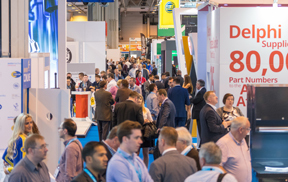 For the third year running, the UK’s leading trade exhibition for the automotive industry will be making a welcome return to Birmingham NEC on 5 to 7June, where an increase in visitors is anticipated thanks to a raft of new initiatives, networking opportunities and extended opening hours for automotive repair garages. With UK manufacturing continuing to climb up the global rankings in a post-Brexit era, it currently helps power the engine of the West Midlands (£17.5 billion) and East Midlands (£15.9 billion), with their strength across the aerospace and automotive sectors. 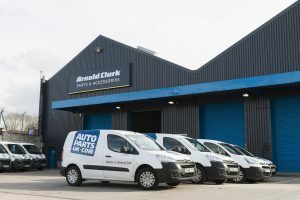 With this in mind, Automechanika Birmingham represents the ideal opportunity to continue to support this growing market in a central, accessible and relevant location, also bringing the sector to a city synonymous with the motor trade with the region’s heritage immersed in automotive growth and success. What’s more, organisers at this year’s show have widened the appeal across the aftermarket sector, including a new, dedicated Garage Quarter, hosting tools and garage equipment suppliers looking to meet the growing number of independent garages attending the event. The West Midlands is no stranger to the automotive trade with global brands Jaguar Land Rover Automotive PLC, MG Rover Group and more recently Aston Martin dominating the UK automotive industry’s history. Simon Albert, Event Director of Automechanika Birmingham, said: “After last year’s success with a turnout of around 12,000 visitors, we’ve no doubt that this year’s event will cement Automechanika Birmingham’s’ position as the UK’s most valuable meeting place for the automotive industry, uniting the very best of the UK aftermarket and vehicle production sector. Many of the exhibitors will announce special show deals, offers and competitions in time for the show. 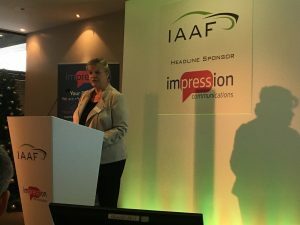 Visitors can benefit from an enhanced programme of live events featuring live technical demonstrations, free training and keynote speakers. This year’s event at the NEC Birmingham, running from 5-7 June 2018, will welcome vehicle production exhibitors in Hall 6, aftermarket suppliers in Hall20 and a dedicated Garage Quarter in Hall 19. 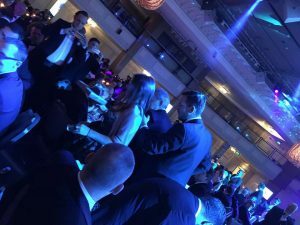 The 101st SMMT dinner was interrupted before it had even started by Greenpeace protesters who managed to get on stage with a ‘Toxic Air award’ for VW. It was clear from the outset that this was going to be a politically charged event. 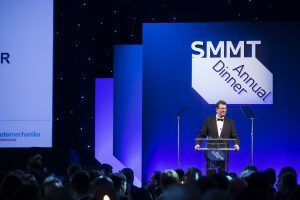 Greenpeace invaded SMMT Dinner to present VW with ‘Toxic Air Award’. Following an introduction by Jennifer Saunders, SMMT Chief Exec, Mike Hawes took to the stage to talk about what he saw as the dangers of ‘demonising’ diesel. “Customers are not moving straight from diesel to electric. They are switching to petrol or are staying put in their older cars” he said, adding that the decision in the budget to increase tax on diesel cars leads to a falling market and a, conversely, rise in CO2 emissions. “This is not a policy without consequences. It has to stop” he said. Business Minister, Greg Clark made a speech in which he acknowledged that the car industry was of ‘fundamental importance to the British economy’. He added that there was an industrial strategy in place, which ‘in many ways’ had been inspired by the motor industry. 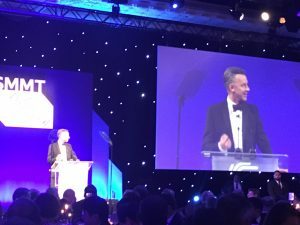 However, SMMT President Tony Walker warned of the dangers of a no-deal situation and a 10 percent tariff on exports. “Competitiveness comes hard-won. It can be easily lost” he said. “A hard Brexit would undermine all that we have collectively achieved. It is a real threat – a hurdle we cannot ignore.” He acknowledged that it was Government policy ’not to fall over a cliff edge’ but there needed to be evidence of ‘concrete progress – and quickly’. Walker expanded that falling consumer confidence, uncertainty about Brexit and market confusion over diesel have taken their toll on sales domestically, and that the threat of trade barriers was putting the ‘export-led renaissance’ of the UK’s manufacturing base. “Our supply chains are integrated with Europe and well developed over time” he said. 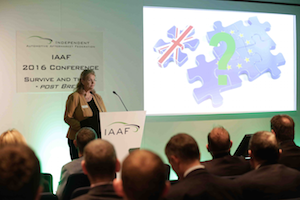 “We cannot disrupt them…We do not need trade barriers to be our next challenge”. The combination of rising raw material costs, Chinese pollution regulations and Brexit- fuelled exchange rate fluctuations have created a perfect storm for the budget sector. 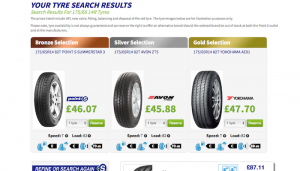 In recent months, budget tyre prices have been rising disproportionately compared with the mid-range and premium sectors, significantly reducing the cost price differential between typical budget and superior mid-range tyres in the same size. the cheapest option is often the default choice, especially when that’s what the garage is recommending.